Obviously, it was NOT part of Sharna’s carefully crafted routine. But it was hilarious and after Bobby went nuts in the first week, not entirely unexpected. The judges all loved his enthusiasm and energy. I do too! Like Carrie Ann comments, he’s totally authentic, which I’m all about! But I’ll be honest. The school nerd in me was a little put off at the class clown fooling around with something that I work so hard at and hold so dear to my heart. I couldn’t help but wonder if Sharna felt frustrated after she put in the effort to choreograph a great routine for her student and then he doesn’t bother finishing it. It feels a little disrespectful. 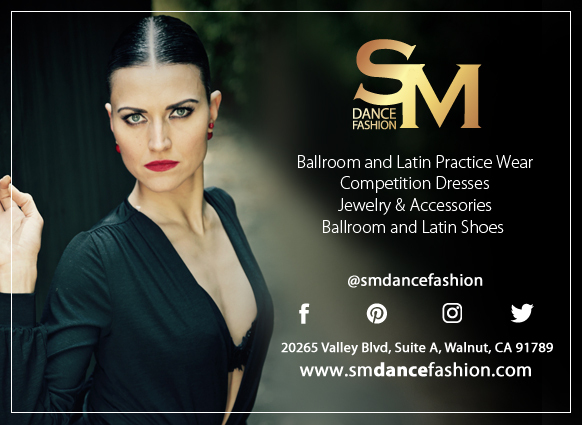 I don’t follow all of the unspoken standards in ballroom when it comes to appearance, but when it comes to the dancing itself, I work my hardest to stay true to and respect the art form. Then again, it’s Dancing with the Stars, not Blackpool. True ballroom steps and technique are hardly high priority. The main goal is to perform and entertain, not actually become a ballroom dancer. Bobby totally fulfilled that purpose! Oh, apologies to all those DWTS fans who are inspired to take ballroom lessons and then learn that real ballroom does not involve a dramatic dip at the end of every dance. So I’m telling the school nerd to get over herself, but I’m curious! What are your thoughts about Bobby’s little improv? It was Most Memorable Year week and he chose the year he graduated high school because he was the first in his family to do it. He had a very difficult childhood and he knew education was his way to a better life. In the contemporary piece he danced with Sharna to “A Million Dreams” from The Greatest Showman, he expressed a full range of emotion, from playfulness to pain, and even though I don’t know him, I felt so proud. I watched DWTS back in the early seasons and one of the things I loved most about it was the progression of the celebrity dancers. There was effort put in by both teacher and student, to learn at least the basics of traditional ballroom and you could *see* that effort. That was part of the charm of the show and I think what made ballroom so attractive to the people who flocked to learn it in the wake of DWTS’ early seasons. Then it started to change. I get it—I truly do—I have too many friends in the entertainment industry that I don’t understand how it works. They had to keep the show fresh and “innovative” in an effort to maintain viewers, especially as other reality competition shows came along. But it got too far from its roots, IMO. The multiple partner dances and special effects that reduced the time the couples were actually dancing and worst of all, playing fast and loose with the rules of a dance. It was when I saw a “waltz” performed to a 4/4 song that I finally gave up the ghost. All true! I’m trying not to take it too seriously because at the end of the day, it’s about the ratings. Thank you for bringing up the music too. Sooo many times the song starts and I’m like wait, what dance is this supposed to be? I think I see it most often with foxtrot. I don’t understand why they go with the songs they do sometimes! I would echo the first comment. There have certainly been other dancers on the show that didn’t really have a lot of skill and went primarily for entertainment. And there’s nothing wrong with camping it up a bit because it does show some energy and enthusiasm. But its kind of fine line because if you go too far, then it just seems like you are treating this show like a big joke. Granted, it is just a TV show but all the pros put in a lot of work and the floss at the end felt disrespectful to me. I mean he had already gone over the top with the leg kicks and other things but at least those were sort of consistent with the dance and song. It was almost like he got to the end and thought he hadn’t gotten enough laughs so just toss in something stupid to play to the crowd. Didn’t really need it in my opinion. Yeah, I feel like there were other ways he could have hammed it up if he really wanted to, and still stayed consistent with the feel of the routine. I played a lot of sports before I found ballroom dancing and continue to put serious effort and investment into this art/sport. I have competed in single dances and solo’s in the major competitions in the USA, so I have a good understanding of what performance pressure is all about. I’ve never really watched the show and only saw this because of the Facebook posting. He reminded me of a person who was not very confident in what he had just did, and was trying to draw attention away from the actual performance or lack of it. I think he realizes he is in way over his head and was trying to use “goof ball” humor to distract the audience. I wouldn’t waste time trying to figure out why he does what he does. I would only focus on the serious performers and let the jokers be the jokers. Yes, we do what’s important to us and not let others spoil our journey. They can do what they do.